"Saracens have been in ruthless form during the opening month of their title defence with the champions claiming bonus-point wins from all four matches." Newcastle were the surprise success story of last season after reaching the Premiership semi-finals but Dean Richards' side have found it difficult in the opening month of the season. The Falcons have only beaten Worcester in their first four matches. But Newcastle produced a dogged defensive display last week in their 24-17 home defeat to unbeaten Exeter. Wasps will be happy with their start to the campaign after winning three of their opening four games. Their only defeat came against Exeter but victories over Worcester, Leicester and Sale have taken them up to third and on course for another top-four finish. Their 31-13 bonus-point win at the Sharks last week was impressive and new signing Lima Sopoaga made a valuable contribution kicking 11 points. The betting suggests this will be a tight clash but favourites Newcastle may struggle to justify this status against Wasps. Dai Young's side won 39-22 at Newcastle in their last meeting back in May and will be confident about claiming another victory. Wasps look worth backing with a three-point handicap in a close contest at Kingston Park. Saracens have been in ruthless form during the opening month of their title defence with the champions claiming bonus-point wins from all four matches. 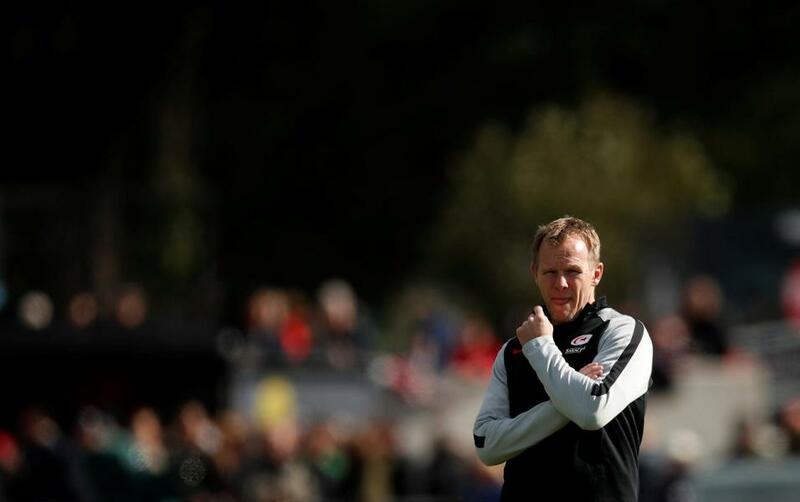 Mark McCall's side started with a win at Newcastle before defeating newcomers Bristol. The Men in Black claimed a victory at Northampton and had no trouble ending Gloucester's unbeaten start with a 38-15 victory last weekend. Bath have reacted well to their opening defeat at newly-promoted Bristol with narrow wins over Harlequins and Northampton. Todd Blackadder's team were lifted by their fightback in the 31-31 draw against rivals Gloucester and this gave them momentum to take into their recent wins. Bath have struggled for consistency in recent seasons and were thumped 41-6 at Saracens last season. Saracens are huge favourites for this match but the handicap mark is set at 28 points and it is difficult to be confident about them covering such a wide margin. The Men in Black should win comfortably enough though and it could be worth backing more tries in the second half. Saracens' attack will put pressure under Bath as the game progresses and all of the champions' games this season have produced more tries after the break. It has been a turbulent start to the season for Leicester and interim boss Geordan Murphy claimed his team did not look like a Premiership side during their shock 44-27 home defeat to Worcester last weekend. The Tigers battled gamely in the previous 41-35 loss at Wasps but three defeats from their first four matches has been a continuation of their decline which saw them miss out on the top-four last season. Sale also have their own problems and are propping up the table after losing three of their opening four matches. The Sharks were well beaten last weekend in their 31-13 home defeat against Wasps as Steve Diamond's side were outplayed in the second half. Their only victory came against Worcester and fans will rightly be concerned at their sluggish early season form. The price on a home win looks exceptionally short considering their current form and this clash could be a nerve-shredder for both sets of supporters. Leicester have conceded the most points of any team in the competition and it would be no surprise if this was another high-scoring contest. But Sale struggle on the road, where they lost 35-27 at Welford Road last season, which suggests another narrow Tigers win could provide the best value bet.